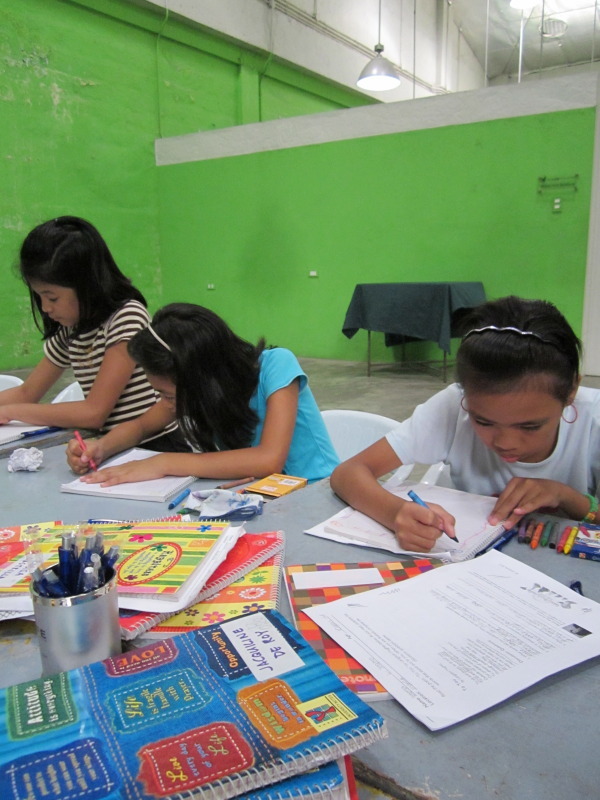 My last month in Manila has arrived, and the time has come for me to say goodbye to my Girls LitClub at the Real Life Foundation in Pasig City. I am so proud to say that throughout my time there, I have watched these young women grow more confident with their words, proud of what they have to say, and more loving to one another. These young women have found a sanctuary inside their journals, eagerly opening them when sessions begin, excited to leave their personal mark on it- whether its their writing or a drawing, they love to leave a reflection of themselves in this special place especially for them. These journals, as I've experienced in my own girlhood, have nurtured me into my own growth, always there as a special friend to take in whatever joy or sadness that needed a place to go, to be. As I watch these young women discover the beauty of their stories inside their own journals, I am glad that these notebooks, and their Girls LitClubs, will leave them with something tangible and real long after I've returned home. I am convinced, more than ever, in the world inside words. These young women need them, to share them, to listen to them, to find them, in order to discover their own beautiful reflection in each other. I am proud of the sisterhood that has been formed in this Girls LitClub, and it is my dream that these girls will continue to share this circle of support for other young women in the years to come. Thank you to the staff at the Real Life Foundation for welcoming me here, and for their generous support. I look forward to seeing the LitClubs grow with your community! Older PostWords Move Them! Our New Girls LitClub in Mashimoni, Kibera.